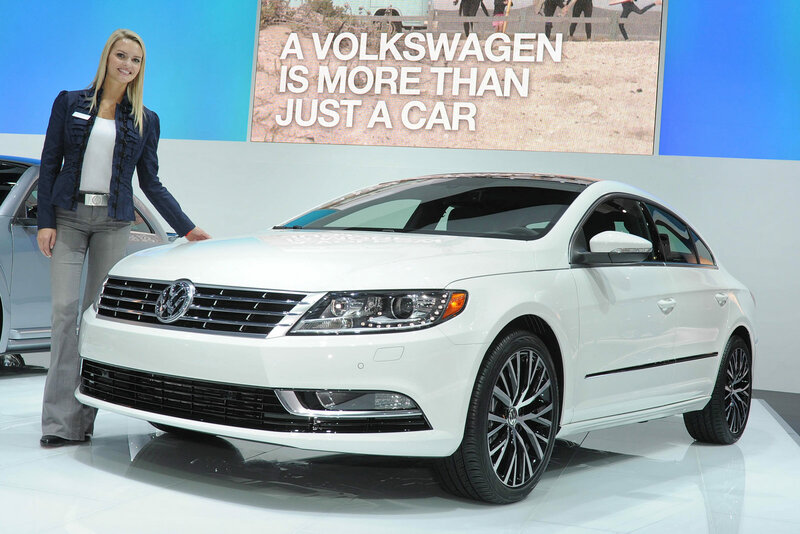 As one of Volkswagen’s leading efforts towards playing with the big boys of the premium segment the CC version of their Passat saloon has been off to quite the start. Unfortunately, that start took place well over three years ago so the Germans have given it a facelift, one they unveiled at the Los Angeles Motor Show. 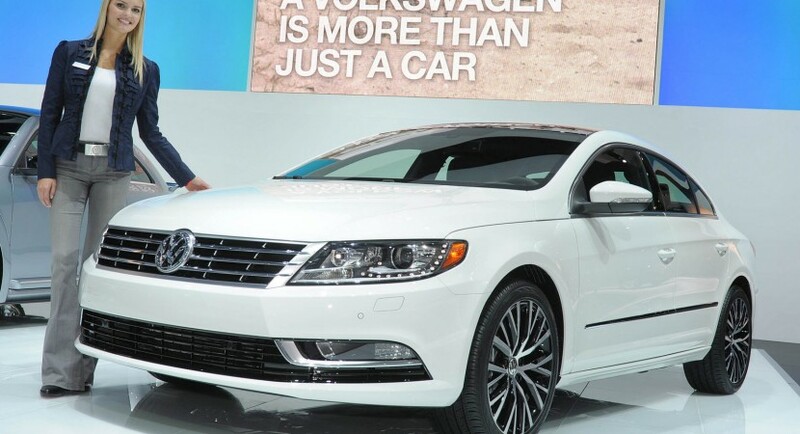 The 2013 Volkswagen Passat CC is still a four door coupe and the big design lines of the car are still relatively the same but there are quite a few changes worth considering. 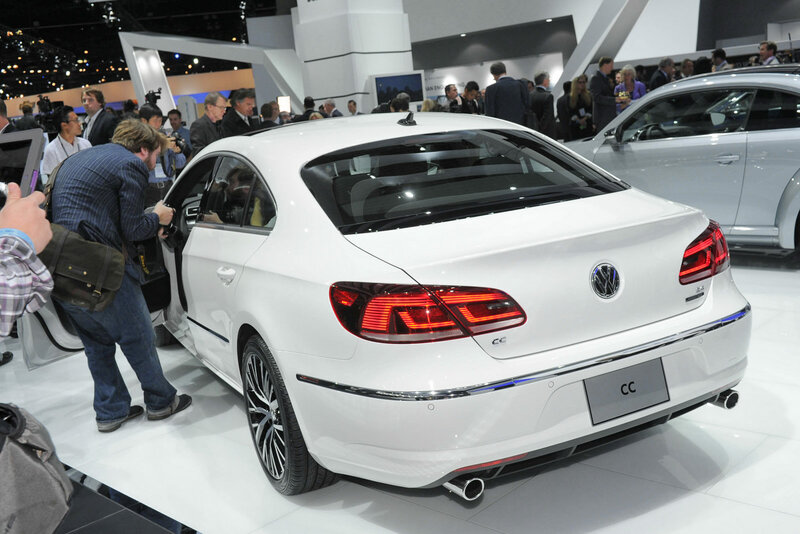 Most important of which, the new VW corporate cues is plastered all over the front and rear end of the new 2013 Passat CC. I’m not really that big a fan of the Volkswagen Passat CC, or the new styling direction they’ve adopted but the two do mix together well in this version. I’m also very pleased with the new multi-spoke 17 and 18 inch alloy wheels they’ve stuck underneath the thing and I wish I could say the same about the LED fixtures happening at the front. Whereas the tail lamps look and feel practical, the LED headlights just look over-designed and busy. Inside not a lot of changes have occurred, but the 2013 Passat coupe-looking sedan can now take five people instead of four. Engine wise, you’re looking at pretty much the same setup of choices between a 200 horsepower 2.0 liter turbocharged inline four pot and a 280 horsepower V6. Also unchanged remains the front or all wheel drive choice of drive teamed with a six speed manual, automatic or a more advanced seven speed DSG.